D - 3 / 8 Vibhuti Khand,Gomti Nagar, Lucknow - 226010, Uttar Pradesh, India. 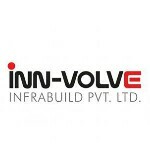 Innvolve Infrabuild Pvt. Ltd. is a private limited company registered in Uttar Pradesh, India. Innvolve Infrabuild Pvt. Ltd. Operates as Real Estate and provide real estate investment and services. The company has started its operation in 2017. Ever since the company has grown exponentially. We believe that key to successful Real Estate is solid money management. At Innvolve Infrabuild, we apply stringent money management principle. Without proper risk management, this high degree of leverage can lead to large losses as well as gain.